According to the studies of a biologist from a spanish university, the behavior of Varroa mites in recent years has changed. This also explains why many types of treatments no longer work. The relationship between the mites that reside in the bee brood cells, to those that are on the bees (foretic), has changed. At a beekeeping conference we were informed by a biologist that Varroa mite behaviors have changed decisively in the last 30 years. 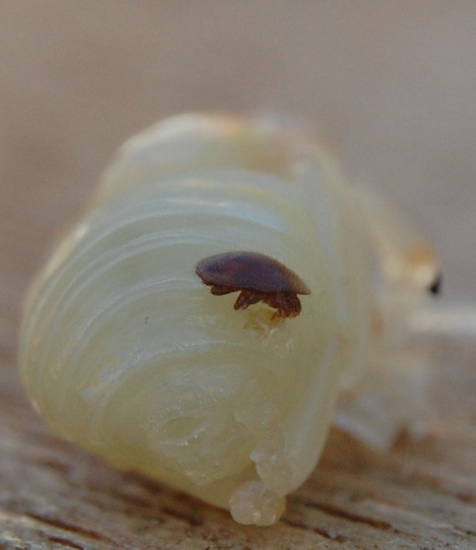 – Previously, varroa forética mites were often found on the backs of bees and now prefer the bellies of bees. Therefore, many Varroas can be on the bees and we do not see them so easily. Previously about 2/3 of the Varroa mites were in the bee brood cells and the third part were foretic, on top of the bees. This has also changed gradually and now 85% is in the bee brood and only 15% on the bees. The mites are hidden inside the bee brood where most of the treatments of the beekeepers have no effect. treatments with acids and chemical products in hives with brood present are increasingly unsuccessful. The only solution is that bees defend themselves.